After years of hiring cranes to move his sculptures, Tuck found himself working on sculptures of a completely different scale – those that can be held in one hand. First he was asked to create 65 small bronze heads as patron gifts for the National Sculpture Society. Then he was designing two awards. 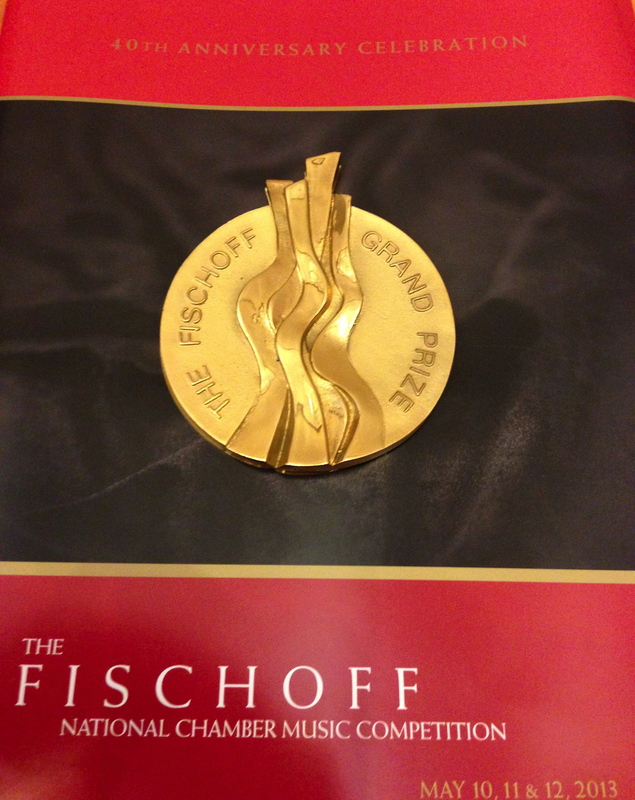 The Grand Prize Medal for the Fischoff National Chamber Music Competition uses four ribbons to create a visual description of chamber music, where the instruments in an ensemble take turns playing the melody. One will move forward, then fade into the background while another instrument/ribbon comes forward. This 3.5″ medal is gold plated bronze. Tuck also included ribbons when he designed the new Arthur J. Decio Premier Arts Award. This small abstract sculpture uses three ribbons to represent the three major parts of theater: music, dance and acting.